Visually impaired people cope remarkably well – thanks to canes, guide-dogs, Braille, audio descriptions, smartphones and the kindness of strangers. But sometimes a little extra help goes a long way, especially with everyday things like reading labels on food to determine use-by dates. Be My Eyes is an app that allows a blind person to ask a question of a sighted volunteer by video-call. If you want to know what’s written on the side of that tin in case you put canned lychees in your pasta sauce instead of tomatoes, you can connect within minutes to a volunteer who can simply and quickly help you out. When the task is complete, both parties hang up and are asked to rate the interaction. Users who do not get on will not be paired up again, and people reported for bad behaviour are removed. That way, the service can be regulated and made safe. 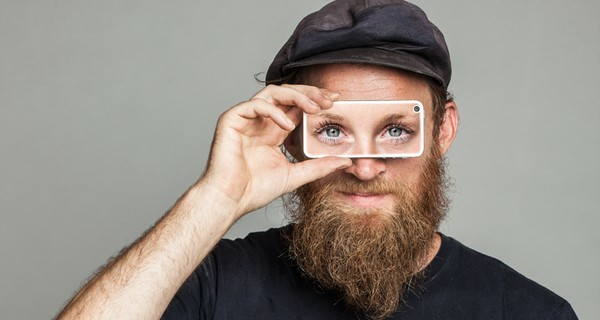 Be My Eyes is the brainchild of Hans Jørgen Wiberg, who is himself visually impaired. Through his work at the Danish Blind Society, he recognised a need for an application to help blind people with small daily tasks, and presented his ideas at a start-up event in Copenhagen. There he met the rest of his team, and together they won the prize for ‘Most Innovative Idea’. Since then Be My Eyes has received backing from the Danish Blind Society, the Velux Foundations and software development studio Robocat. Within 12 days of its launch, 99,000 sighted volunteers and 8,000 blind people had signed up to use the app, which is currently only available on iOS. An Android version is under development. Be My Eyes is a free and not-for-profit project – find out more at www.bemyeyes.org and sign up to lend your eyes to the blind.